Dedicated to the preservation, stewardship, and enjoyment of old things. Behold the glory of a new rear main bearing -0.020"
Many thanks again to David and his wife at Stewart Engineering. I wouldn't have been able to get this far without them. 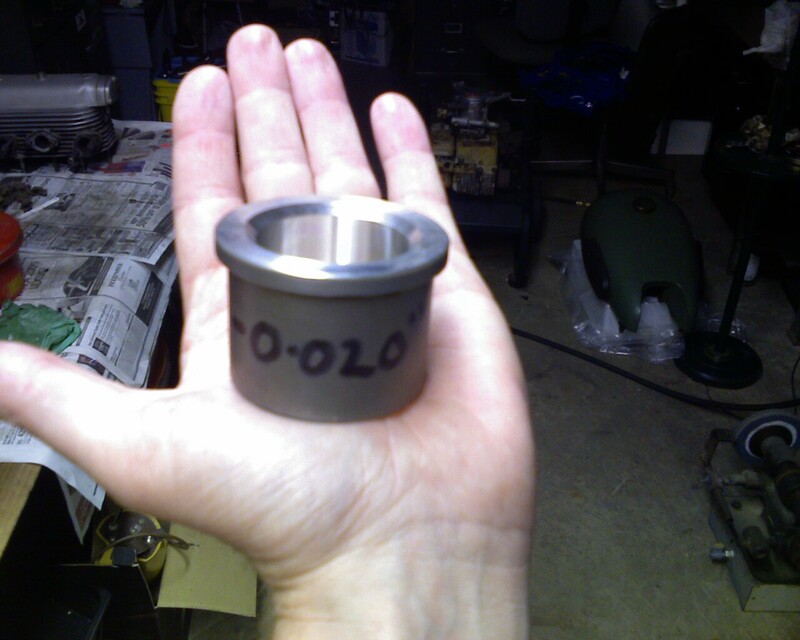 Now that I know the exact measurements of the bearings, the crank will go off to the machine shop. First I'll have to find one who can do a good job. In the meantime, I have lots to do. I have to make new brake linings for the front shoes... and probably the back as well. During all this my poor XS650 has thrown a crank bearing, and is torn completely apart. (c) ImpBarn. Awesome Inc. theme. Powered by Blogger.